Kurt Sloane looks to train Muay Thai with master trainer Xian Chow so he can defeat Tong Po, the man who paralyzed his brother Eric in a kickboxing bout. 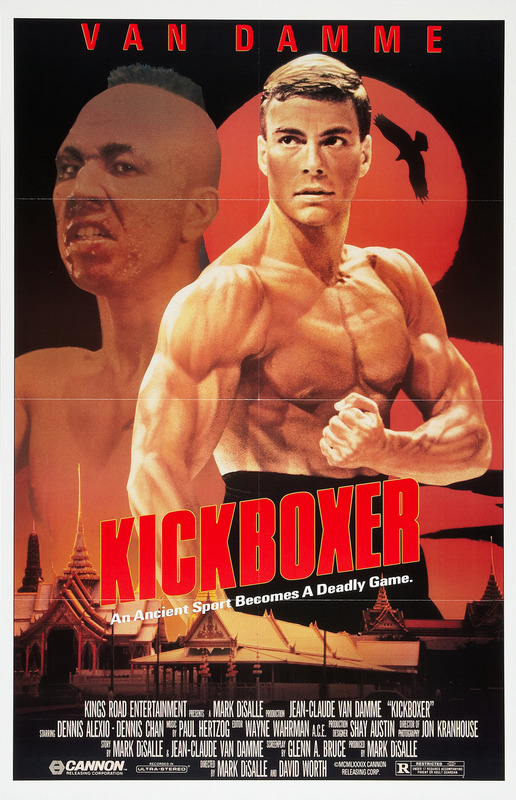 "Kickboxer" is a 1989 martial arts action flick starring Jean-Claude Van Damme. Van Damme also had a hand in writing the story and did all of the fight choreography for the film. It is directed by Mark DiSalle and David Worth. Worth is known for directing numerous low budget action flicks, many of which deal with martial arts themes. DiSalle also helped write the film and produced it, along with a few other Van Damme films like "Bloodsport" and "Death Warrant." This is a simple tale of revenge with a little bit of an underlying underdog story. Van Damme plays Kurt Sloane, a guy with martial arts training, but no professional experience. His brother Eric, played by real life kickboxing champion Dennis Alexio, is a professional martial artist and is the best in America. Out of opponents in the United States, Eric heads to Thailand to face their champion, Tong Po, played by Michel Qissi. Unfamiliar with the Thai style of boxing, Eric is soundly beaten, and to add injury to insult, Tong Po intentionally elbows a defeated Sloane in the spine, paralyzing him instantly. Extremely upset by this, Kurt seeks out Muay Thai master Xian Chao, played by Dennis Chan, to help him train so he can get the chance to avenge his brother and defeat Tong Po. 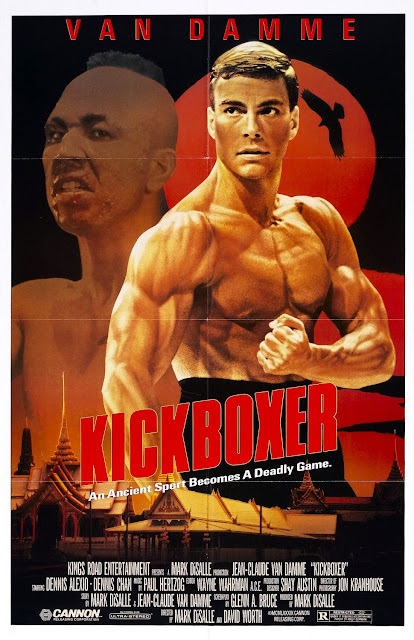 As a martial arts movie, most of the action in "Kickboxer" consists of hand-to-hand combat with a lot punches, kicks, and aerial spinning techniques. The fighting in the movie mostly looks good, but there are a few blatantly terrible moments of goofy fight choreography. There are also some other instances of action including gun-play and even a few explosions worked into the plot for good measure, just in case the viewers tire of physical combat. Oh, and speaking of plot, the one here is, as one might expect, very thin, but then again, this isn't really a movie about plot. When there is no fighting going on on screen, the vast majority of the film consists of training montages, as is the formula for these types of sports stories. We also get a few moments of charming humor, and like clockwork, a shoehorned in romantic storyline to bring some heightened stakes and extra drama for our protagonist. Even with a low budget, third rate, poorly written dialogue, and hackneyed drama, there is a lot of entertainment to be had in "Kickboxer." It is always fun to watch JCVD in his prime landing jumping spin-kicks to someone else's face, and it's equally fun to watch him dance in bar in a dopey black tank top. If you give this movie a chance, you'll most likely be amused.